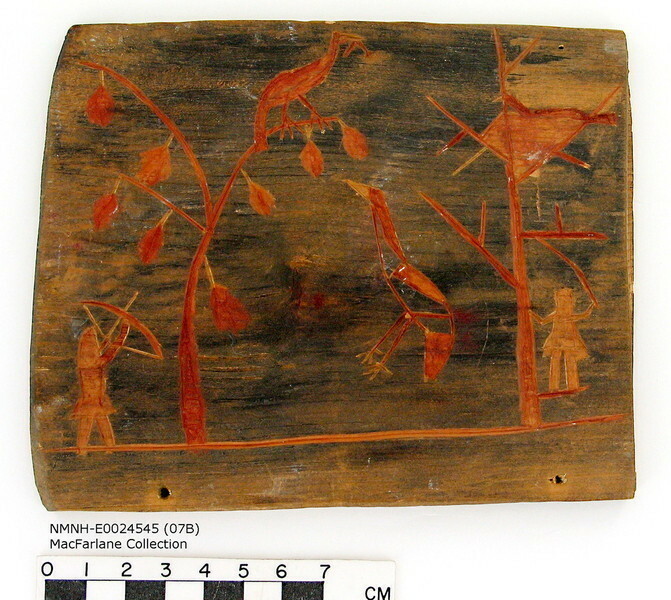 Inuvialuit drawing of a bird hunt. 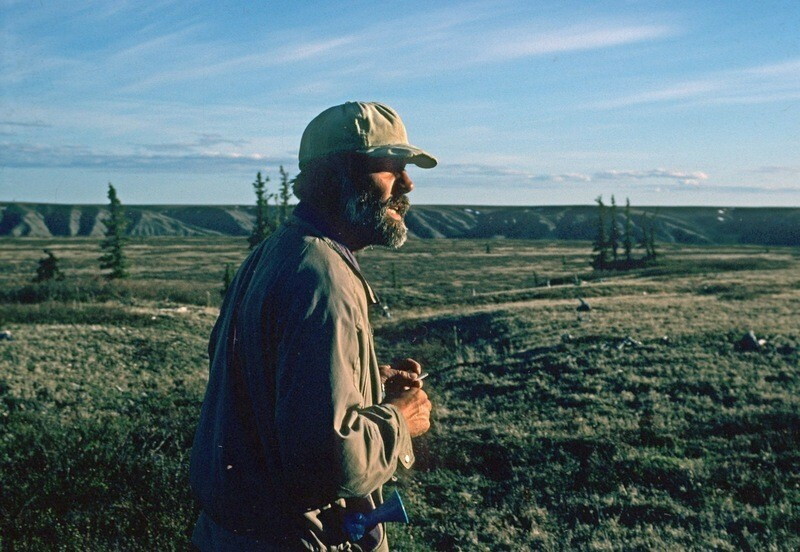 Roderick MacFarlane hired Inuvialuit to collect birds and eggs for the Smithsonian Institution. 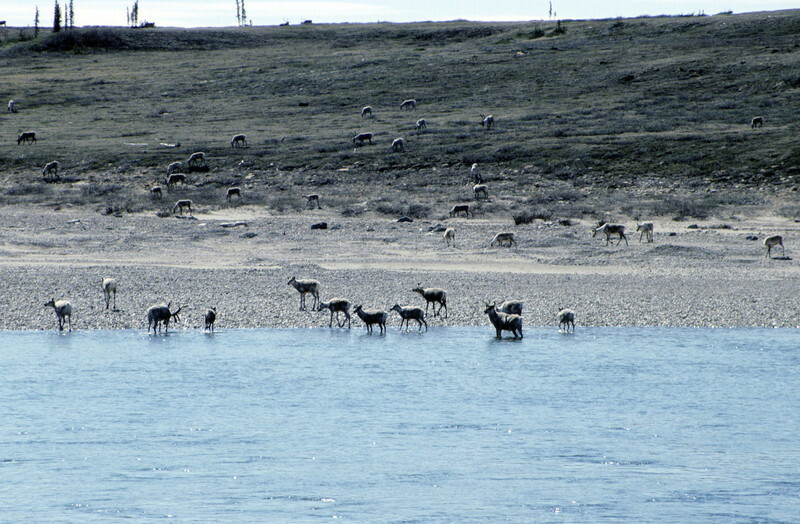 (E2545-07B)Barren-ground Caribou (Rangifer tarandus) at a river crossing. 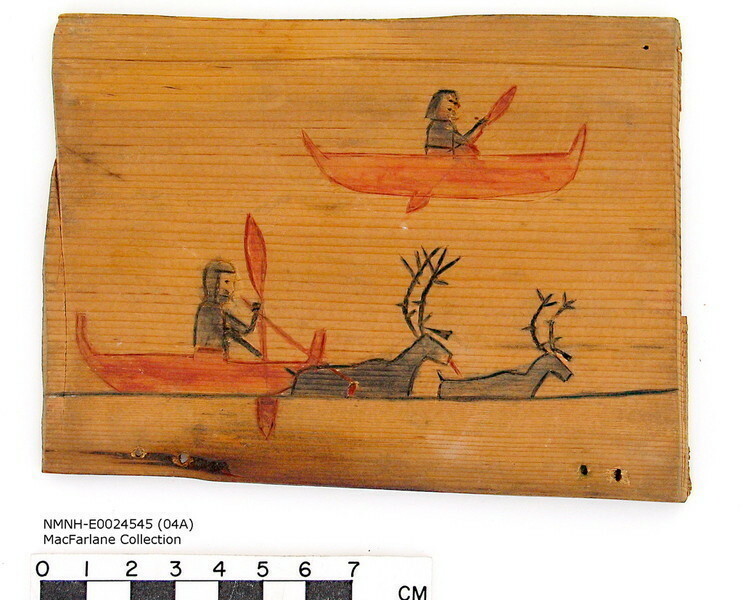 (J. Obst)Inuvialuit drawing showing a caribou hunt at a river crossing. 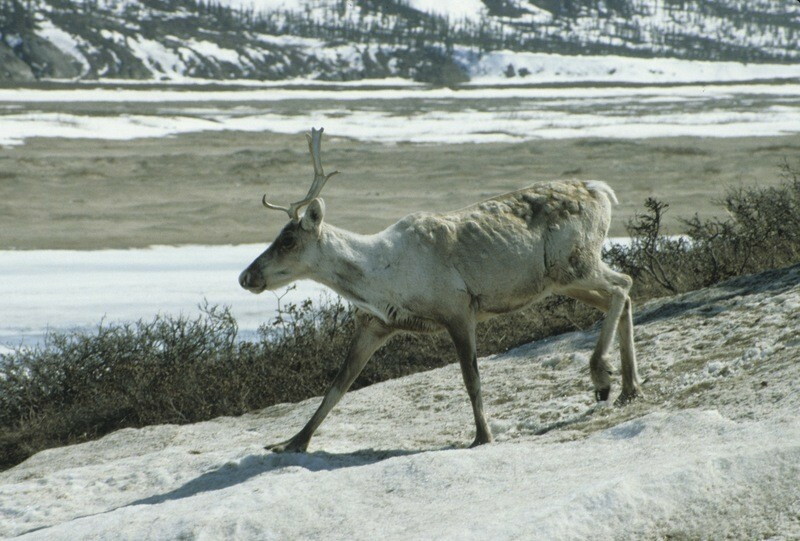 (E2545-07B)Barren-ground Caribou (Rangifer tarandus). 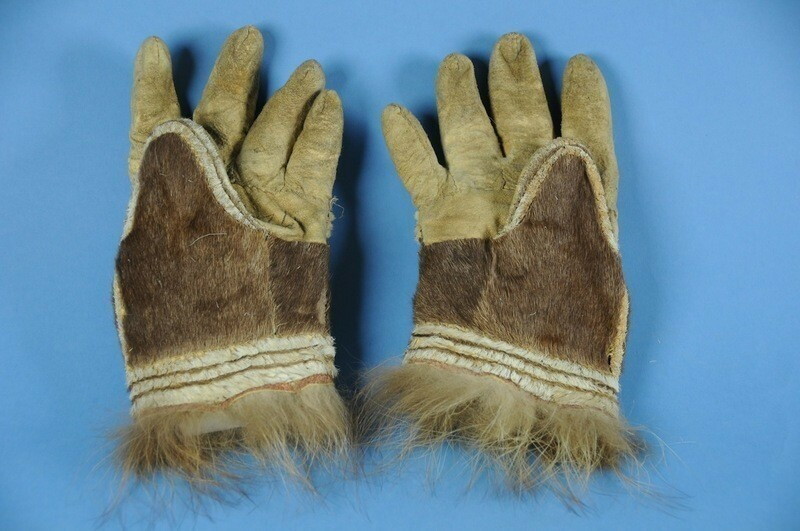 (J. Obst)Gloves made from caribou skin (E1728-1).Joachim Obst surveying birds in the Horton and West rivers area near MacFarlane’s route (J. Obst, June, 1996).During his five years (1861-66) at Fort Anderson, Roderick MacFarlane, accompanied by Inuvialuit guides and hunters, made annual collecting trips for natural history specimens throughout the lower Anderson River region. 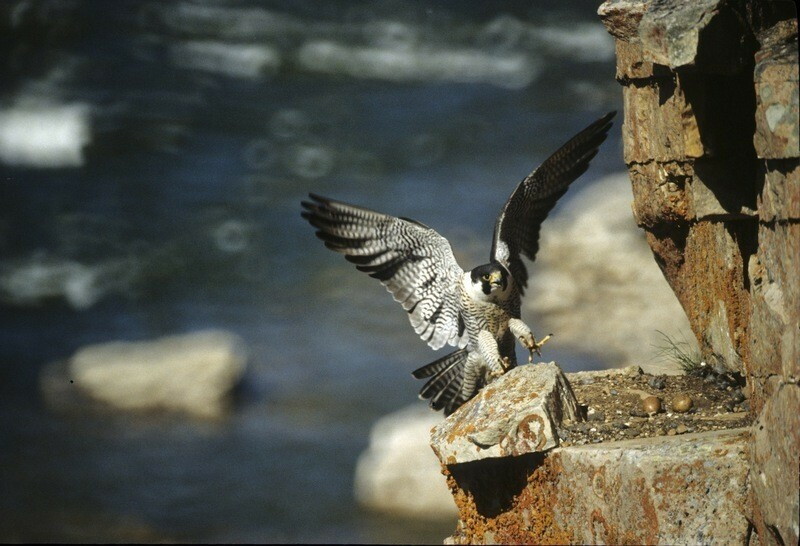 He had been trained in bird species identification and specimen collecting and preparation by Robert Kennicott, a naturalist who travelled to the Mackenzie River region in 1859 to acquire natural history specimens for the Smithsonian Institution. 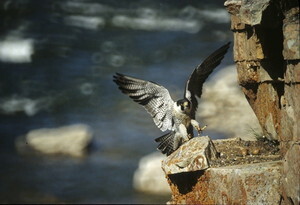 Despite the brevity of MacFarlane’s apprenticeship with Kennecott, and the difficulties of shipping specimens to Washington, DC, the MacFarlane Collection at the Smithsonian Institution contains over 5,000 natural history specimens, primarily skins and eggs of 111 species of birds. The collection also contains skins of 28 mammals, including pelts of most of the fur-bearing animals that were traded by Inuvialuit at Fort Anderson. This section is still under development. It will include a map of Roderick MacFarlane’s collecting routes that have been retraced by naturalist Joachim Obst, with photographs of birds, animals, landscapes and cultural features Obst encountered along those routes.